These easy hot cross biscuits with a delicious cream cheese frosting cross on top are a fun way to celebrate Easter with kids. A perfect biscuit recipe for beginning bakers. Classic holiday recipes make my heart so happy. I love introducing old traditions to my kids, knowing generation after generation has celebrated the Easter season with hot cross buns brings an extra special feeling to that recipe. Just because a recipe is a classic, doesn’t mean we can’t have a little fun with it. 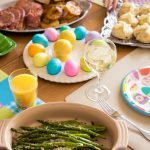 Before I even knew we were going to move to the south, I discovered this fun modern twist on hot cross buns over on Joy the Baker’s web site. I immediately fell in love with these hot cross biscuits with a sweet cream cheese cross on top. I have made them every single year since 2011! When my girls were still super picky, they would lick the frosting cross off first before hand-picking each and every currant out of the hot cross biscuits. It drove me crazy but I continued to make them every year because I loved them so. That is the power of a traditional recipe. I love the idea that my kids will be making these for their families some day. If you’ve never made biscuits from scratch, this is the perfect recipe for you to try. It doesn’t require any fancy equipment. In fact, your own two hands are the most useful tools you have! 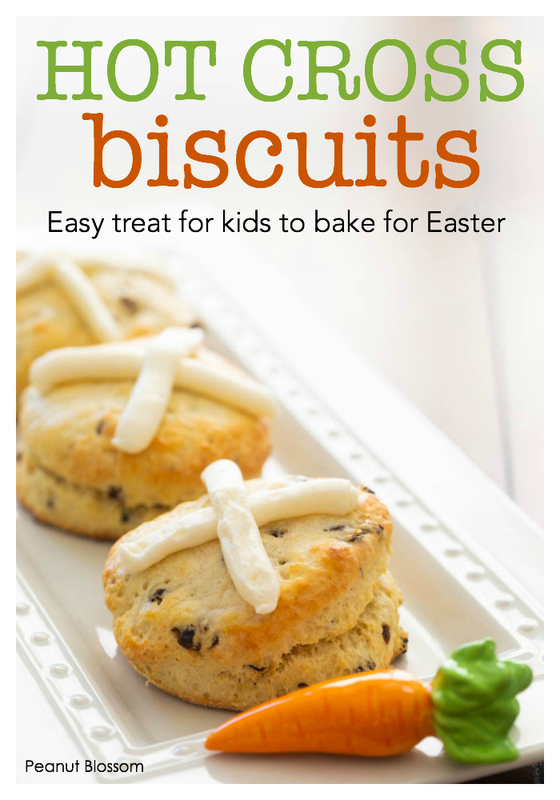 If your kids enjoy baking these hot cross biscuits, you really don’t want to miss out on my next cookbook for kids! 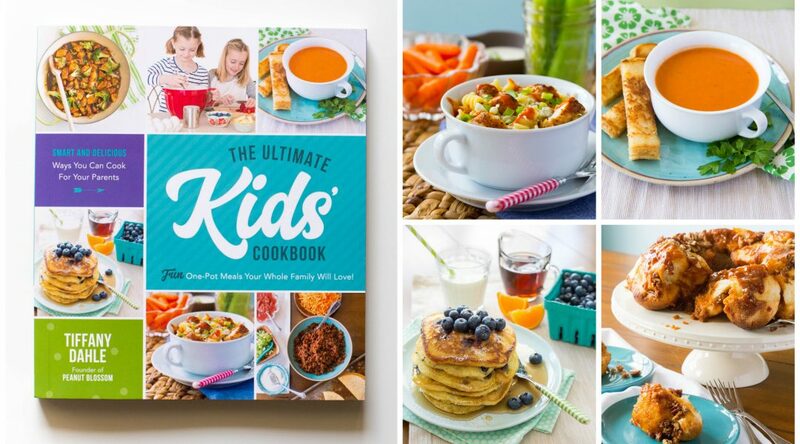 The Ultimate Kids’ Baking Book is now available for pre-order. 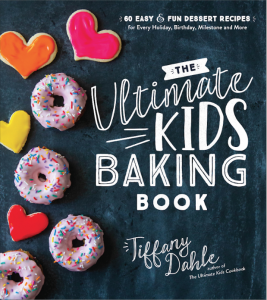 It comes out just in time for holiday baking this fall and has 60 easy and fun recipes for your kids to bake for every holiday all year long. I am SO proud of how it turned out and I know your kids will love it. Can these hot cross biscuits be made ahead for Easter? Yes, I have made them the night before more years than not. I prepare the dough, cut the biscuit rounds, and place them on my baking sheet. I cover them tightly with plastic wrap to keep all the moisture in. Then on Easter morning, I brush the tops with buttermilk and bake them fresh. If you want to bake them completely the night before, just store the baked hot cross biscuits in an airtight container and frost them fresh on the day you want to serve them. This simple hot cross biscuit recipe is perfect for baking with kids on Easter. Serve it as part of your Easter brunch or as a sweet treat before the Easter egg hunt begins! Preheat the oven to 425 degrees. Place your oven racks above the center position, if the baking sheets are too close to the bottom of the oven, your biscuits will burn on the bottom. Line two baking sheets with parchment paper or silicone baking mats. In a large mixing bowl, add the flour, sugar, baking powder, and salt. Whisk them together. Add the lemon zest and whisk it in. Cut the cold butter into small cubes. Add it to the bowl and use your clean fingers to pinch the butter into the flour. Work quickly and lightly, you don’t want the butter to melt in your fingers. Continue to pinch and stir the flour and butter with your fingers until the butter is completely incorporated and the flour starts to stick together like small peas. Stir in the dried currants and then make a well in the flour. Measure the buttermilk in a measuring cup and then whisk the egg into the milk. Pour the mixture into the well in the flour. Use a fork to stir the ingredients together. Make sure there are no dry pockets of flour. Sprinkle some flour onto a large cutting board or work surface. Pour the biscuit dough onto the flour. 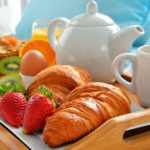 Rub your hands with a bit of flour so the dough doesn’t stick to your fingers and then gently knead the dough together. Gently pat out the dough so that becomes a 1-inch thick circle. Use the bottom of a drinking glass (about 3-4 inches) to cut circles of biscuits out of the dough. Place the biscuit rounds on your prepared baking sheets. Knead together the dough scraps and pat it out again. Keep cutting circles of dough until you’ve used everything up. Brush the tops of each biscuit with a little more buttermilk. Bake for 6 minutes and then rotate the pans in the oven. Bake another 5 – 6 minutes until the tops are golden brown and the biscuits are firm. Transfer the biscuits to a wire rack to cool so the bottoms don’t over-brown. Let cool COMPLETELY before frosting. Add the butter and cream cheese to a medium bowl. Beat them together with a hand mixer on medium-high speed. Add the powdered sugar and beat it into the butter mixture on low speed until smooth. Increase the speed of the mixer to medium-high and beat the frosting for 1 – 2 minutes until light and fluffy. Add the vanilla and beat until combined. Transfer the frosting to a ziptop baggie. Snip a tiny corner off the bag and pipe the crosses on the cooled biscuits. Serve.